First hour had Jeff Peckman and Stan Romanek discussing the Friday closed conference unveiling of Romanek's Incredible Pe(e)king Alien video, and Peckman's initiative to create an Extraterrestrial Affairs Commission in Denver, Colorado. Interesting claims by Romanek that he was beaten up and "tazed" by mysterious strangers for speaking out about his experiances. Not much to talk about because the interviews were such a large portion of the program. One thing I must say was that LMH's investigative journalism skills were impressive, especially during the Mars lander segment. George's Gem of the Night - Not quite a gem but hey, you take what you get. A 12 year Veteran calls in and hilarity ensues. George - "Thanks for serving." Vet - "Thanks, and thanks for serving before me." George - " Yeah, I served in the Civil War. I'm the oldest living participant of the Civil War." Vet - "Oh yeah? What colour were you?" Oh yeah, can you smell that? That's the aroma of Future (Vice)President. 2012 here we come. Jumped in a little late and caught Hoagie talking about the space station "toilet-walve" delivery(I think). Then him and George discussed the Mars lander situation and a "mysterious spire" in one of the landers photos (***I've seen the picture, and it looks like a film flaw to me, not any "spire"***). Corey Lopez of KHOW (My fave station-stream for C2C) talked with George about the Stan Romanek presentation that day of the Incredible Pe(e)king Alien video. George wants Romanek to submit to polygraph. Investigative reporter Paola Harris joined the show next and also went over the presentation with George. Harris seemed to be pushing the Romanek case REALLY hard, while George remained healthily skeptical about the whole thing and repeats demands for polygraph testing. Ian - "What bothers me is that the first thing people do with experiences like this, or for instance brushes with God, is try to put a dollar sign to it. It's a bad sign and it hurts the credibility." George - "Yeah, we'll just wait for the documentary to come out. Hey, Just this morning a picture of you appeared on my toast. I'm gonna sell it on e-Bay." George - "Listen. We'll get the network to pay for the test, but we can exploit it on both our programs!" George - "I knew a guy once who could catch a radio station on one of his teeth, I kid you you not." Dude - "Could you hear the radio station?" George - "NO! I couldn't hear it. Well, I could hear it, but only when I turned his nose just right." @ 3:18 A.M. EST the first 2012 mention. George gives the clue for his next random caller movie quote book giveaway. The quote is "Touch me and I'll sue!". For anyone that cares and might call in, the movie that's from is Rocky V, said by the character George Washington Duke who was played by Richard Grant. George - "This call has made me sad." George - "I had a praying mantis. I stepped on him." George - "Yeah. I stepped on him. I miss him." Woman - "No you didn't, did you?" George - "Yeah. I used to walk him. Then I stepped on him." Woman - "That's so sad." George - "I had to throw away the shoes." George - "I went without shoes for awhile." George's Gem of the Night - Short and sweet. Hoagie is trying to explain in his special way, something about Mars and ice and spires to George. Hoagie - "Do you know how tundra works George?" Let's try this again. I listened to the Sunday June 1st show but really wasn't into it that much. Some dame calls in and asks whether Crazy Raspberry ants are a new form of terrorist attack - It was that kind of night. Early on, cryptozoologist Loren Coleman talked about the Thunderbird, La Bruja, Bigfoot and Yeti. For anyone interested in an internship at Coleman's museum in Portland, Maine, check out www.cryptomundo.com. Noory starts off with the news, and when he gets to the death announcement of Bo Diddley, he is joined by none other then ........*drum roll*...BILLY GIBBONS of ZZ Top! The two briefly discuss Gibbons close friendship with Diddley, Diddley's contributions to music and his influence on guitarists. "The World's Greatest Storyteller", author Lionel Fanthorpe comes in next and talks about Voodoo, Santeria, Obeah, etc. (***Factoid - The island of Nevis is reknowned in the Leewards for it's Obeah practitioners***) I started to have some trouble with the KHOW stream, and when I finally found an agreeable replacement, the first word I heard was "WERESHARK!". ***Wow*** The two talk about lycanthropy; African Leopard Cults can be traced back to ancient Egypt and Osiris, and the amount of nuclear energy it would take to actually change human cells into animal cells would be enough to blow up a mountain. Fanthorpe then talks about Spring Heeled Jack (he's cool) at George's request, and rounds out his time talking about the story and disturbances at the Chase burial vault in Barbados. Most of the last hour was open lines. @ 4:42 A.M. EST George slips in the word portal for the first, and @ 4:52 A.M. EST, we hear about the Illuminati for the first. The show ended with a brutal call from an 83 year-old WWII navy vet, and I felt sympathetic for both host and caller. George tried hard to get the vet to release details of how Hitler managed to escape to Paris w/ Eva Braun, but the vet decided after letting the fact slip that loose-lips sink ships and clammed-up on the NightHawk regarding the "classified intelligence". George's Gem of the Night - During the segment with Dr. Vaillant, British etholoigist Richard Dawkins' name came up quite a bit. George - " You know every time I hear the name Richard Dawkins I think of The Family Feud. That was the host's name right, wasn't it?" speaking of Coast to Coast, anybody remember the funniest show in the recorded history of television, Space Ghost Coast to Coast? the above dialog reminds me 100% of the kind of dialog i would expect to hear Space Ghost engage in. seriously... read the above transcript again and if you're familiar with SG, imagine the scene in your mind and i promise you'll guffaw as i most certainly did. Boy, oh boy! It's George's birthday, but WE'RE getting all the presents! Yay George! Hour 2: Ghostbuster Mary Ann Winkowski speaks about her latest project. Hour 3: Author Howard Bloom addresses the oil and food crisis. Hour 4: Researcher Glenn Kimball talks about Lemuria. I missed the John M. Curtis piece on the election situation. Alex Jones brings us the buzz on Bilderberg business. Within 2 days they will decide whether or not the U.S. will invade/attack Iran. Globalist are infighting with one crew backing Hill-Dog and the other supporting Obama. Also, another schism has one group looking to break the U.S. economy, while the other still pushes for U.S. economic dominance. Filmmaker Chris Burgard and a back down-to-earth Jerome "Jerry" Corsi discuss Burgard's new film Border, situations concerning the U.S. - Mexico border, and the cases of incarcerated agents Ignacio Ramos and Jose Compean. There were some alarmist overtones, but it was mildly interesting and pretty informative, and would possibly be more appealing to someone who lived closer to the Southern border. George's Gem of the Night - Due to seemingly antagonistic statements from Iran's President and Bilderberg's speculated desire to invade Iran, George says "I wonder if Mahmoud Ahmadinejad is on the payroll of the Illuminati". Nothing spectacular, sorry folks. BTW - to the possible chagrin of many here, I'd like to say ........HAPPY BIRTHDAY HAWK!!!!!! All the best, thanks for the memories, and Keep 'Em Coming !!! Hey MAX! any chance of making THIS one a smiley? During the segment with Dr. Vaillant, British etholoigist Richard Dawkins' name came up quite a bit. OMG, yeh I just haven't found the time to listen. I need to just cancel again. They are lucky to keep Art around as a teaser I guess. The next two updates are minimal. Sorry. Newsbriefs tell us that Ed McMahon is facing foreclosure. Alex Jones' Biderberg update take a dramatic turn when a fire alarm starts up just as he get on the phone w/ C2C. Jones' hypothesis - It's Bilderberg trying to flush him out and/or tamper with his effects while he's out of the room. Mary Ann "GhostBuster" Winkowski is the next guest. Paranormal, parapsychology, etc. Get me a parachute. Howard Bloom appears 2nd in the "Trilogy Show". Cool segment where Bloom discusses biofuels, oil prices, OPEC and the economy. I like listening to this guy - He sounds a little like Jeff Goldblum. Glen Kimball was the last trilogy guest. He discussed ancient civilizations and specifically Lemuria/ns. Personally, I found it to be a take-it-or-leave-it segment. George's Gem of the Night - Early on while announcing his guests and doing the news bit, George slightly flubs twice with "Mary Ann Wink-oo-ah-owski", and (something like) "Resver-tis-trol" in reference to a news piece about the resveratrol benefits in red wine. Good old mispronunciations. Old School. Alex Jones is back with his Bilderberg update. Thanks George immensely for being there when Jones needs him most. An audibly agitated Jones announces that he feels like he could be in grave danger. He announces that it's a media blackout situation where he's at, but we need not worry because even Bilderberg's PR machine can't prevent stories coming out via major media outlets such as "The New York Times, The Washington Post, and Coast To Coast AM." Jim Berkland pops in to discuss earthquake detection. George announces that possibly next week on Thursday, for an hour or 2, WILLIAM SHATNER will be on C2CAM!!! Writer and filmmaker Shane O'Sullivan is the featured guest. The subject matter is everything relating to the assassination of Bobby Kennedy. Sirhan Sirhan, the Girl in the Polka-dot Dress, The Manchurian Candidate theory(**"Why don't you pass the time with a game of solitaire? "**), ballistics facts and falsehoods, investigative methods and other pertinent topics get discussed. It was a cool presentation, but O'Sullivan's light Irish brogue put me into la-la-land early. George's Gem of the Night - Nothing spectacular. Sticking with the success of the old school while going over more foreclosure news, George refers to the hardships faced by "Sub-prime bow-wow-ers." Are these the mis-placed dogs people are leaving behind when they get forclosed? Yeah, I like Howard Bloom too... I might download that one. I guess I am gonna cancel, I need to check my dates to see if I will miss Art's June show if I do it now. I haven't even had time to do any quotes. I think you are lucky to have streamlink. I'm gonna have to start subscribing in a couple weeks because I'm gonna be scholastically engaged for a month +, and won't be able to stay awake to hear it. It's about time I got it anyways; I would make doing this SO much easier then actually (almost) staying up 'till 5 AM 5 times a week. BTW, before you cancel, don't forget, WILLIAM SHATNER this Thursday!!!! Well, the show is a LOT shorter through streamlink, it's pretty well edited. And I like that you can download it in four sections, so yeah it's gonna make your life a lot easier. I wouldn't cancel at all but I personally thing they charge more than it's worth. Red Ice Creation charges that same price for three months. And they are nearly as annoying as George, haha. I guess Shatner will be interesting, I was never much of a Trekkie though. Think of it this way (says one who recently canceled herself ;-)) In the days before streaming media - ONE copy of ONE c2c show was over $35. Granted they were 5 hour shows (likely four when the ads were edited out, as they were for the tapes) and they were Art. But---- DAMN! You're right Ev, I remember listening to Art over my computer on dial up, it was a nightmare. Cut buffer cut buffer, count the buffer seconds, oopps lost him again, that sort of thing. I would have paid dearly for MP3's every day. But you know it was a completely different show then. Oh, and I meant to say Red Ice Creations Radio is NOT nearly as annoying as George:) Me and my typos! From the show on 3/20/08, guest was Oliver Williams, someone who had studied alleged Time Traveller, John Titor. Guest, Oliver Williams, "...He definitely had his opinions about our time and how we lived our lives." Snoron, "Now he was from the year 2036, but when he came back,into our time period, the real John Titor, the little boy, John Titor was around, right? In florida I guess." Williams, "That's correct. He claims to have been with his family while he was online. He was using his father's computer and he was staying in the home of his parents at the time. And what he claimed he did was he basically walked up to them and said 'Hi I'm your son from the year 2036'. He said he was able to prove to them without a shadow of a doubt, who he was. He stayed with them for that period of time. And while he was with them, the little version of himself that is in our time was with him. And I think at the time he was three years old. So today, I think he would be 9 or 10, but yeah, he did claim to have met himself as a younger child." Snoron, "Now I didn't think you could do that, or at least that's what I had heard on the various Hollywood movies we would look at"
George is such a retard that he gets ALL the information in that tiny brain of his from movies and the Twighlight Zone. What a loser. Ever crack open a book, Snoron? Oh, right. I forgot, you never learned to read. Well, the idea of them letting him interview Shatner is just an offense. This show reminds me of some of the really insane laws that are getting passed, and no one is causing any trouble. Hell, for all I know Noory was some kind of test run on just how much people would put up with, or better yet, how little they would settle for. Aww c'mon - haven't you noticed Shatner will do most ANYTHING? He's not the pickiest public personality I've noticed. Please don;'t misunderstand - I get a kick out of him, and I like the fact that he's willing to poke fun at himself. So, while I understand your feelings, I have to respectfully disagree. Shatner's on another one of his larks. Dunno if it's because he craves (or needs) as much $$$ as possible (I'm thinking more of his ambulance chaser ads while wildly popular and highly paid for Boston Legal -- than GN here -- I don't think they pay their guests - it's a promo opportunity - and interest is already building in a new Star Trek movie which I believe involves some of the original cast (at least on voice-over): http://www.startrekmovie.com/ A pre-quel about how the original crew got together. More immediate, Shatner just released a new autobiography. No matter how lame GN is - he still has a large enough well-targeted audience to help pump up interest. I haven't listened to the show since maybe last week or something? Anyway, did you notice how often they managed to work that new crystal skull movie into every conversation? Even Art covered it. I guess they are all owned by the same guy or something. At first it seemed okay but it soon started to feel contrived. I think I have become VERY spoiled to podcast, put together by brilliant folks that are not owned. Oh, he's pimping a book...well that makes sense. I wonder who Art is having on this month? I guess I could drag myself over to the website and try to find out, haha. Tonight's June 9th show with Jordan Maxwell had me briefly visiting Maxwell's site. It loaded slowly, but the site did appear in my browser. Not that I'm dial-up-boy or anything, it simply loaded slowly. I stepped away briefly and returned to hear George say simply," I suggest listeners visit Jordan's site and call me to tell me what's going on....." Like the dutifully gullible citizen I am, I CLOSED my browser tab and re-loaded Maxwell's site to find the 404 - Forbidden page. Woo-Hoo! Illuminati's revenge, hmmm? Yeah, whatever. to hear George say simply," I suggest listeners visit Jordan's site and call me to tell me what's going on....." Like the dutifully gullible citizen I am, I CLOSED my browser tab and re-loaded Maxwell's site to find the 404 - Forbidden page. C2C takes pride in shutting down people site due to traffic. It proves they have enough listeners to do so. I imagine that the site was running, if slowly, so George did a plug to push it over the top. heheh I'll never forget Art's revelling in taking down sites. @VictoriaPandora: I used to listen through dialup as well. I was careful not to do any web surfing during the show. George opens with the news and tells of his adventures with "Professor Schpinkee's greenhouse calculator". It basically tells you at what age you had already used up your share of the Earth's resources. George tried it and it told him he should have died at age 7. For those interested, you can find the calculator here - www.abc.net.au/science/planetslayer/greenhouse_calc.htm. Later on, while doing one of those Lear Financial spots, Noory starts off the little "ad-lib" openining with "The stock market dropped so much today..... that I'm broke." It was chuckleworthy. "Author, professor of journalism, and columnist" Frank Borzellieri joined the show to discuss the cult favourite tele-drama Dark Shadows, and his new book The Physics of Dark Shadows: Time Travel, ESP and the Laboratory. Pretty interesting fanfest segment about how the show brought many new concepts to not only the genre but to television in general, plenty on the character Barnabas Collins (who was played by Jonathan Frid), and a lot of little known facts about the show thrown in for good measure. 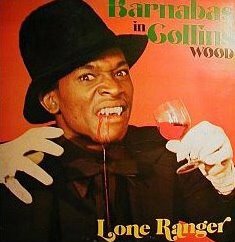 (***FACTOID - Barnabas Collins and Barnabas in Collins Wood are the name of a once popular Jamaican dancehall reggae song on a once popular album by Lone Ranger(Anthony Waldron) from the early 80's about said vampire from the TV show. ***) While discussing the impact the character Barnabas had on many viewers, George let's us know that "Johnny Depp is a fan and listens to C2C once in awhile when he can get the chance and he was such a big fan of Dark Shadows that he wanted to be Barnabas Collins." A lady caller named Josette let's the host and guest know that she had changed her name to Josette as a tribute to the character Josette du Pres from the show, causing the NightHawk to retort "Well I changed my name to Barnabas! Barnabas Noory!" The rest of the Friday was open lines with a hot-line dedicated to "Camp Fire Scary Stories". Some woman calls in and references the previous Friday's Praying Mantis story. Another dude calls in and tells the NightHawk "I think you are great host! ", to which George replies " Wait, Wait, My headset was out. What was that about host?" He rinses and repeats the charade(sha-rod) twice. George's Gem of the Night - A caller with a story about his Grandma, some foresight, and bees, finishes his yarn and to the delight of non sequitur fans everywhere Noory announces "I've seen more bees this year then past years. It's strange." ***Tsk-tsk-tsk! "Somebody" hasn't been paying attention to Linda Moulton Howe's reports. When I jumped in, SETI's Senior Astronomer Seth Shostak and the NightHawk are discussing SETI and a new European Low Frequency antennae array which is also going to search for intelligent transmissions in the universe. In reference to Europe's new interest in ET signs, Noory asks "Can I read anything into this? Maybe they know something, maybe they've done something, maybe they've had a visitation; Man who knows what!" Bringing some thespianic poise to C2C, William Shatner is the big slice for two hours, talking about his life past, present and future, and plugging his new book Up Till Now: The Autobiography. Good little interview, if a little fluffy. George of course brushed the peacock feathers diligently. Facts about "The Shat": He's an accomplished horseback rider that owns and breeds saddlebreds & quarter horses, and he once auctioned a kidney stone for $75,000 and donated the money to Habitat For Humanity. Shatner parallels a story situation to things you don't expect. "....like the Lakers losing tonight. (***HA! 1 MORE BABY - GO CELTICS"***) A caller begins his quest for Shatner by paying homage to the NightHawk's greatness and praising him for bringing "..a dignity and a positive comportment to the show." Later on, Shatner tries to ask a caller a question but George has to produce an ad hoc answer because he prematurely cut the caller off. I started feeling bad for Shatner after a while because it seemed like George had a portal full of Star Trek audio clips to play. Towards the end of the two hours, Shatner was discussing doing talk shows and talking to people in general. He lives in a celebrity filled neighborhood but just thinks that it's strange to start up a conversation out of the blue, hence he hasn't spoken to many people that he thinks it may be interesting to talk to. He mentions Marlon Brando's old home and Noory deduces correctly that Shatner must live close to Jack Nicholson as well. Shatner replies affirmatively and that he's waved hi-and-bye with Jack, but reiterates that he feels awkward going over to someone's house just for an impromptu palaver. George responds "Why don't you just beam yourself into his house?" I missed the last part of the show with SETI principal investigator Dr. Laurance Doyle due to me choosing to revel in the repeat airing of Game 4 of the NBA finals. 3. "What is your favorite blooper from Star Trek?" 1. "Can you do that Vulcan hand sign?" i heard a good portion of that interview, but had to tune out eventually. fact is, george just ISN'T a good interviewer. he feels unnatural and forced. nothing flows. he isn't listening to the guest because the ropes and pullies inside his head are squeaking along to think of the next question, and if he can't think of one, he'll use the canned question provided by the guest's publicity agency. he asks hack questions (does captain kirk believe in ET?). he is everything i can't stand in radio. I didn't mind the interview, but then again, I had been waiting for something I might enjoy, for about a week. It wasn't groundbreaking by any stretch, and while I hate trumpeting the party line again and again, I did find myself wondering what it would have been like to hear a full Shatner show with Art hosting.